Nice progress. Most interested with how those fenders are going to look compare to the kit versions. 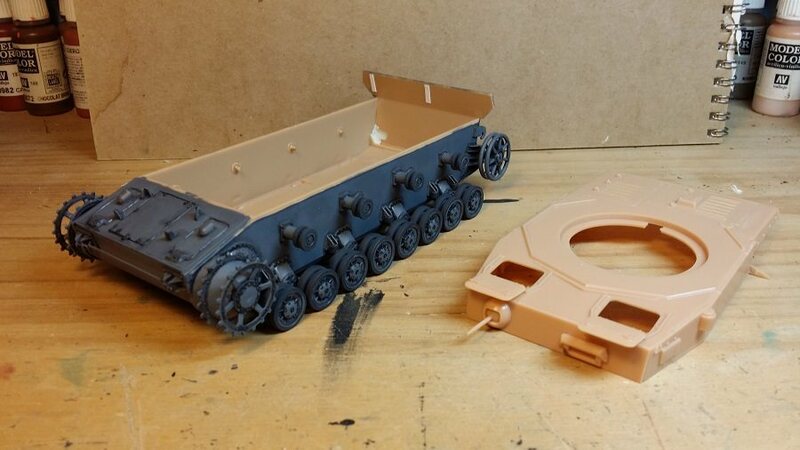 A slow progress with my Dragon kit, because of many spare tracks link. I intend to make a simple base. Figures from Dragon. Some great builds going on here guys. Nice to see so many actively getting in. Is the FAMO is a workhorse? Hi Martin. There is a bit of discussion around what fits the build in the earlier threads. 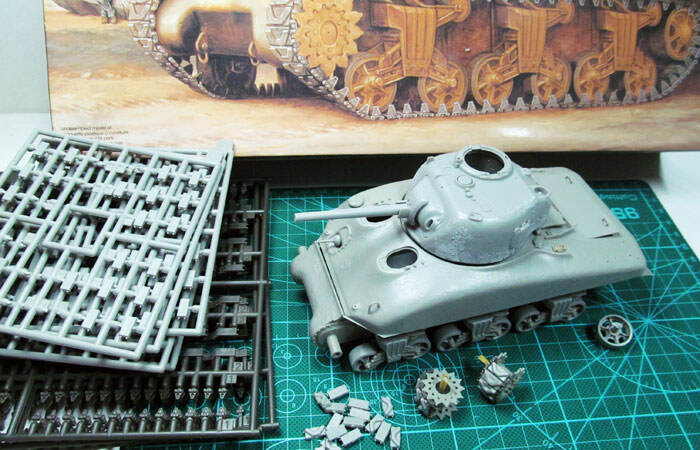 Long story short, though, the build is for T-34, Panzer IV and Sherman Tanks. 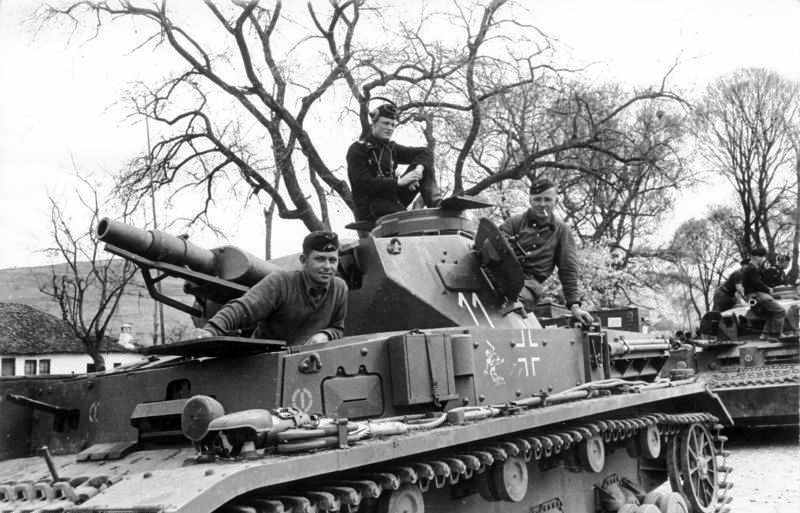 Those were built in very large numbers, were available to their user armies pretty much from start to finish of their participation in the war, etc. Thank you Peter, very good explanation! 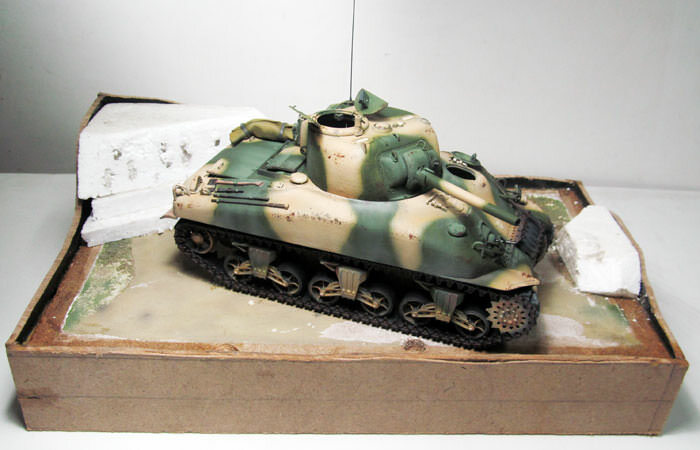 I'm still weighing options but leaning towards an Asuka/Taska British Sherman. 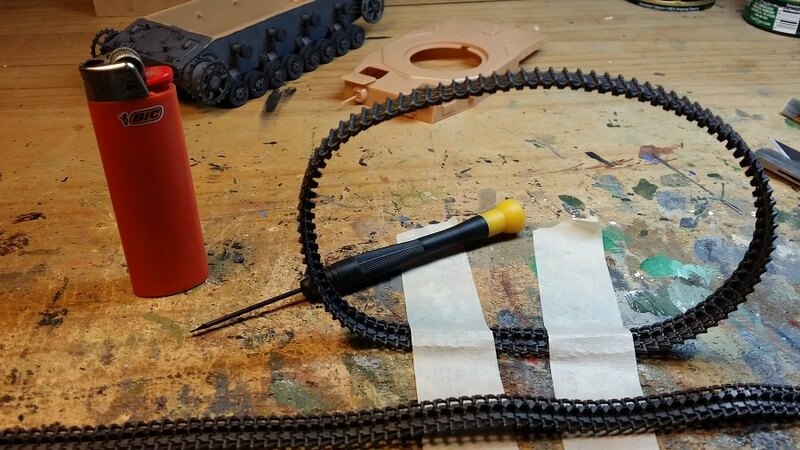 I've got the Mk.III initial suspension from Alamein and the Firefly IC both unstarted (I have several more that are more built than the rules allow. Who wrote those things? Oh yeah...) Anyone have any preferences? Been a while since I put an update. You guys have such awesome kits. Good job! 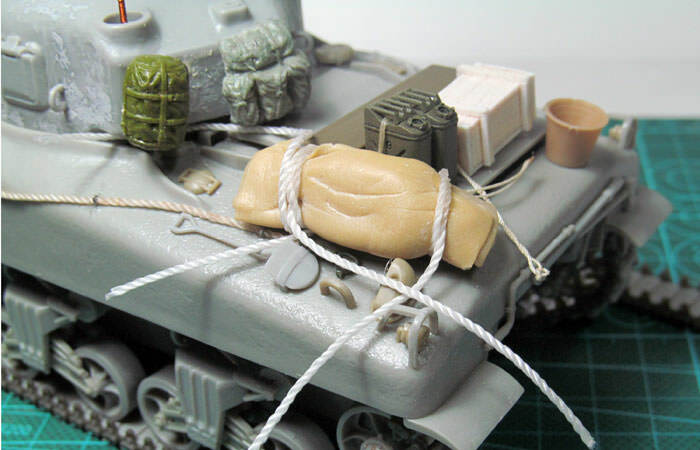 Your Sherman is looking sweet. Nice camo work. 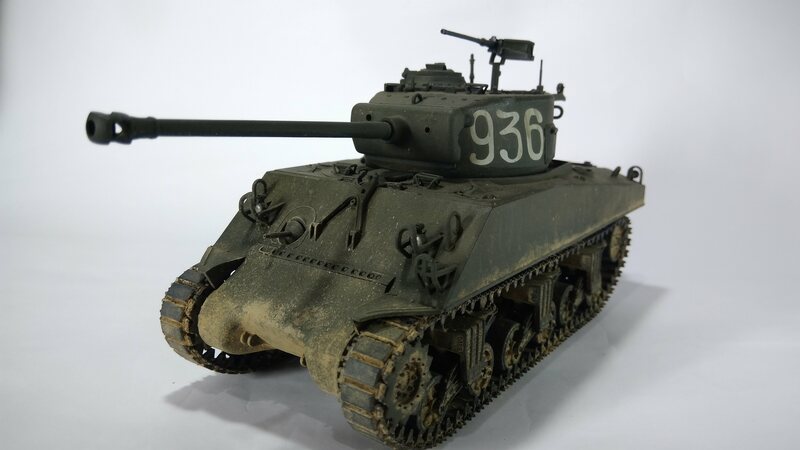 Nice work with weathering on your Sherman. I decided to finish this one with-out fenders, to match the reference pictures I am using. The fenders will be used on other projects I have in the works. 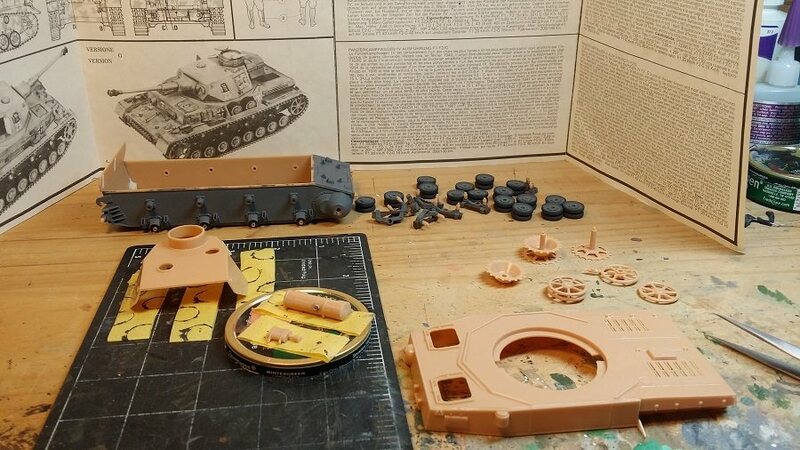 The model is on hold until I get the test run of the fuel can holders, but I managed to get everything else done, more or less. I always tend to forget something. Nice job on the M4's. I found a nifty feature on the forums called HIDE USER. I was going to try it on myself and go stealth, but it only works on other users. Truly nice job on all of workhorses. More PE, and friul tracks. woohoo! 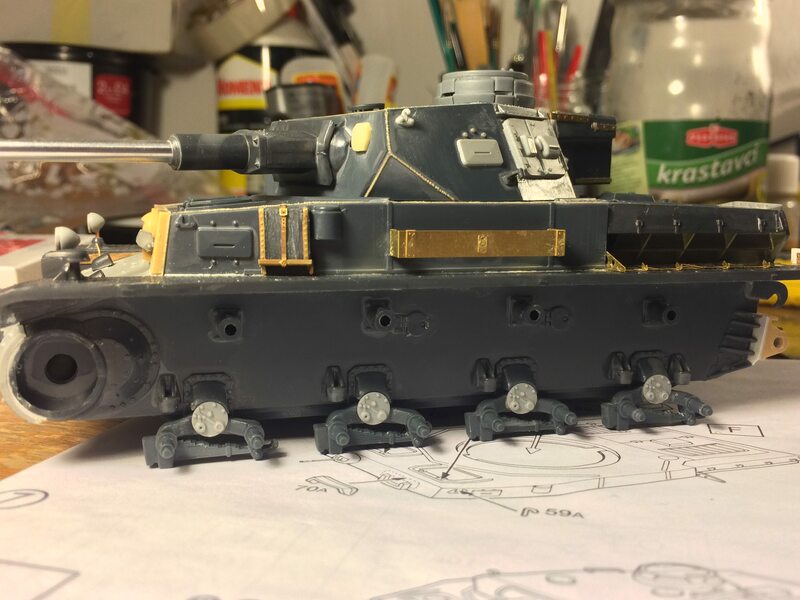 Update 2, Italeri Panzer IV, Ausf. 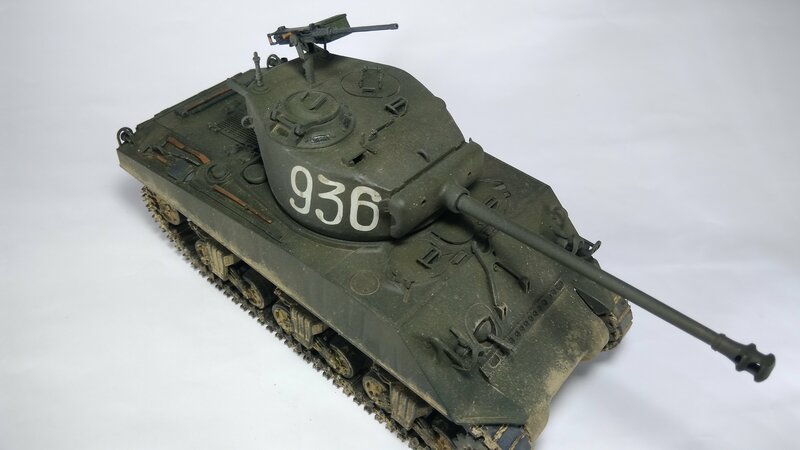 F2, 1/35 scale. 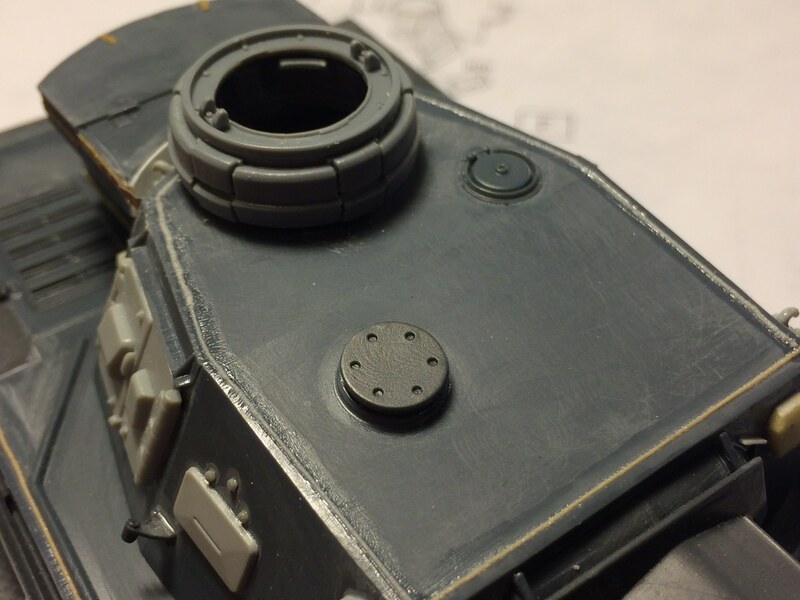 The suspension parts and lower hull have been painted. 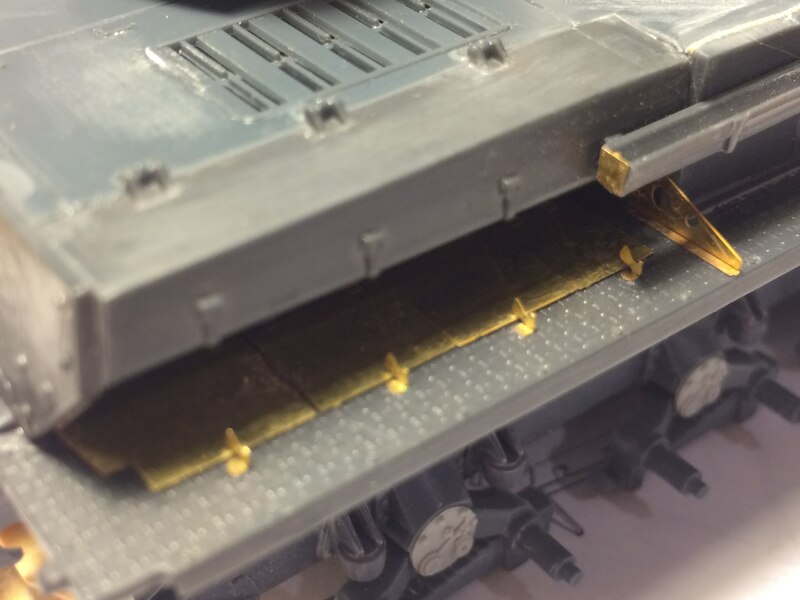 Subcomponent work begins on the upper hull parts. 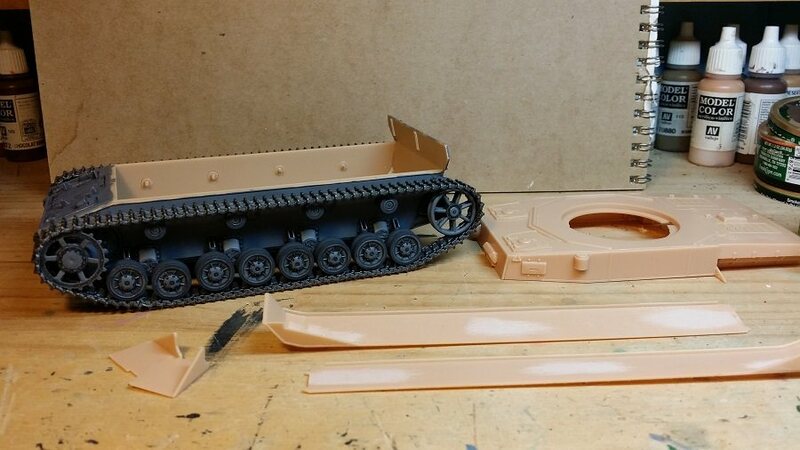 No problems attaching the suspension parts to the lower hull. Rocker arms are posable, so I opted for a flat stance. 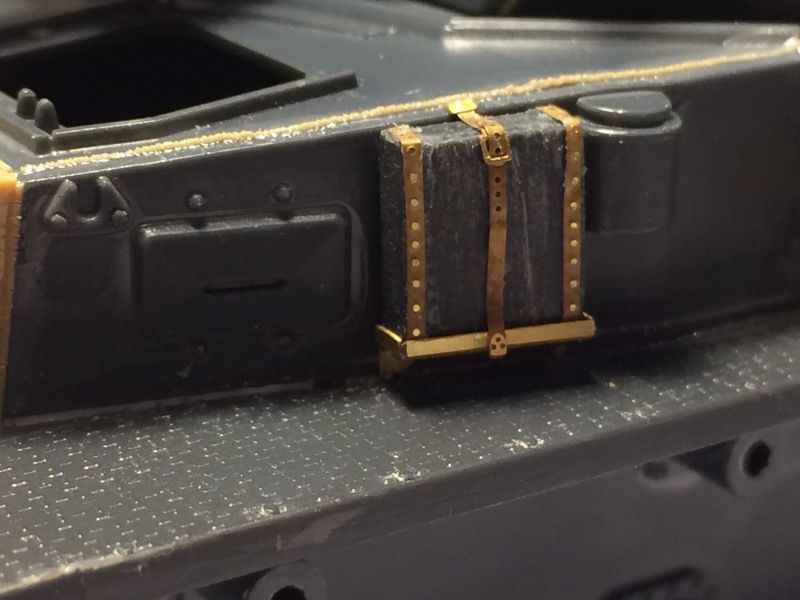 I'm on the fence as to whether I'll add figures for the driver and radio operator positions. ????? Old school method of joining the vinyl tracks together. 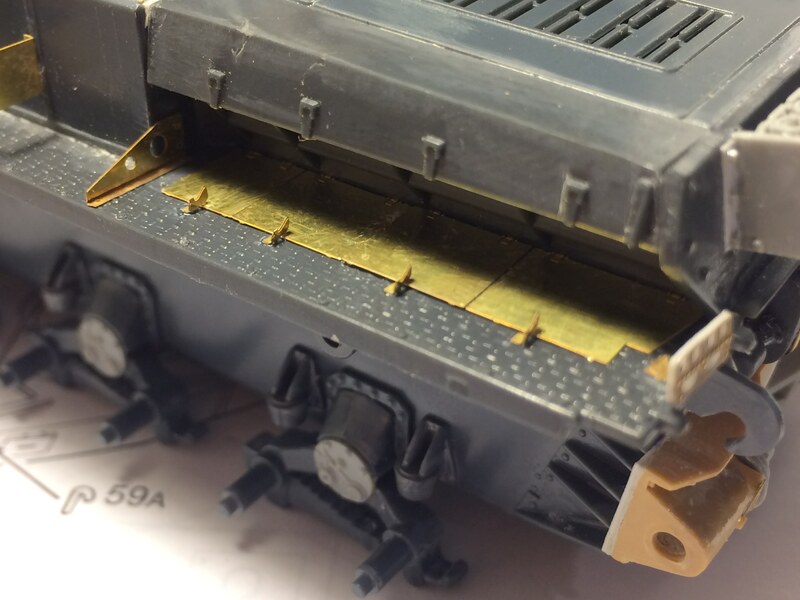 Exercise caution: not a lot pin surface to melt. Success! 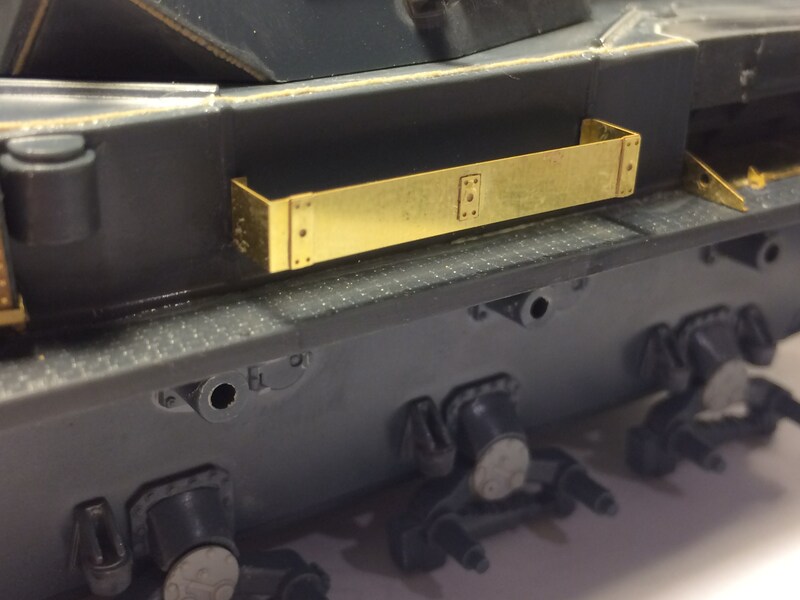 The tracks are on the tank. For a kit that's pushing 40 years of age, the result is not half bad. Oh, I had to get rid of some pesky sink marks under the fenders too. 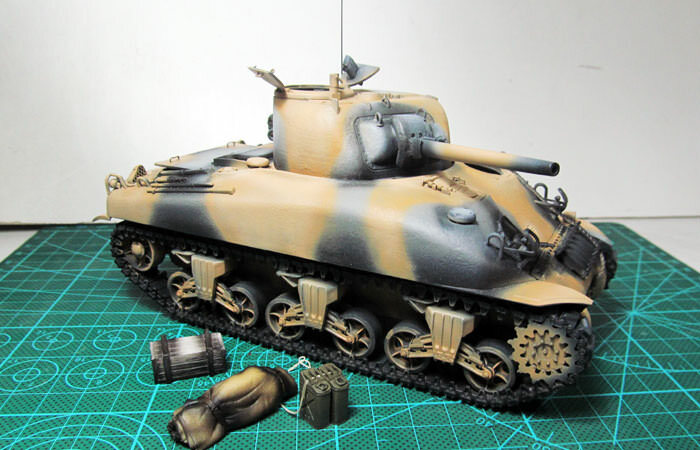 I finished up my MK III Sherman from B Squadron, The Sherbrooke Fusilier Regiment. 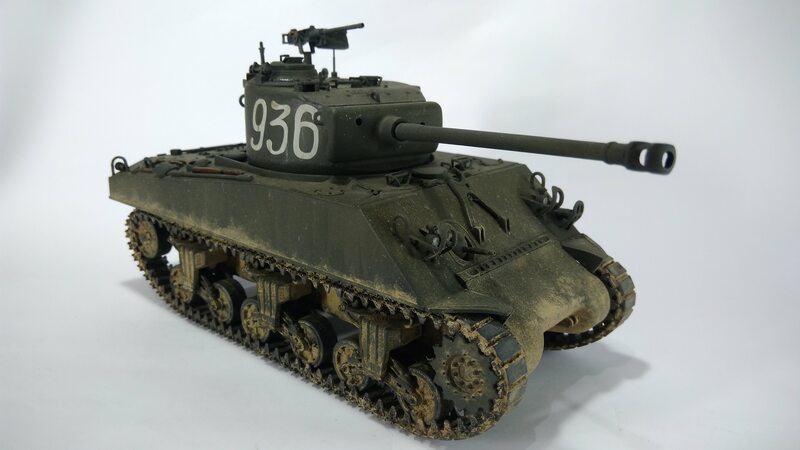 This Canadian Sherman nicknamed 'Bomb' was a veteran of D-Day, and the entire European campaign. 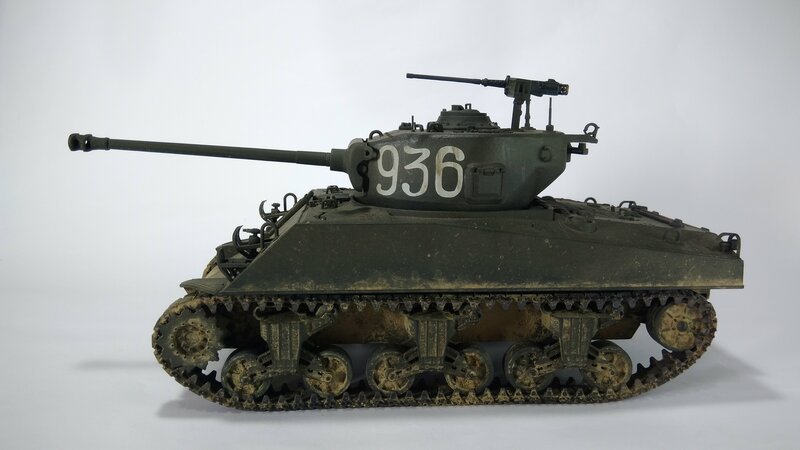 The decals represent the tank as photographed in June of 1945 to commemorate D+365 anniversary. 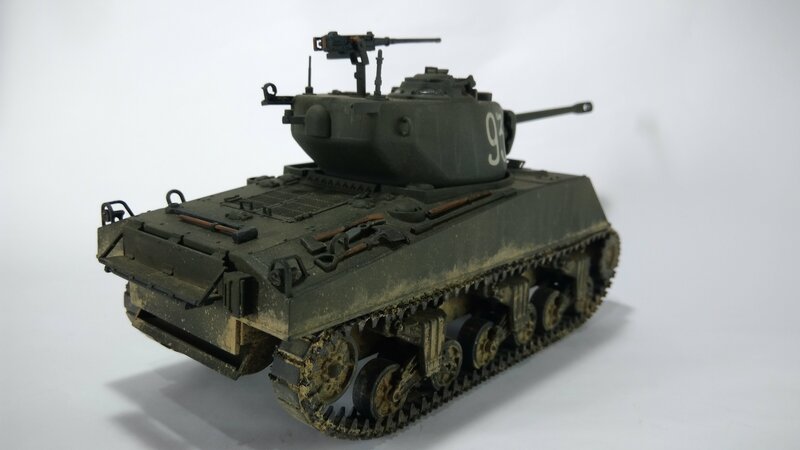 I was going to do a Sherman for this campaign but this kit arrived and changed my mind. 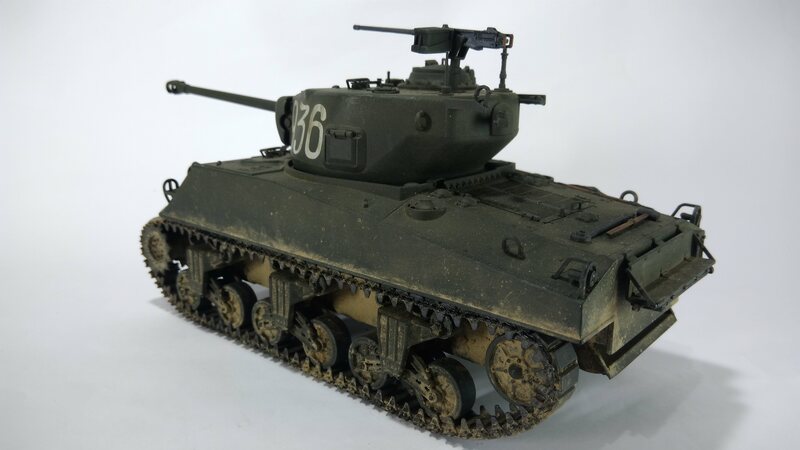 It has a very low parts count, around 175, and reminds me a lot of the old Tamiya Pz IV Ausf. D in terms of simplicity. I read some on-line reviews that were generally very positive so I figured I'd give it a try. Edit: was reading back through the campaign thread and see that Matt has already done a bang up job on this kit. I hope mine comes out as well. there have been some really nice builds going on here! Cheers! Very nice work going on here. Every single build has impressed me. Strong work everyone. 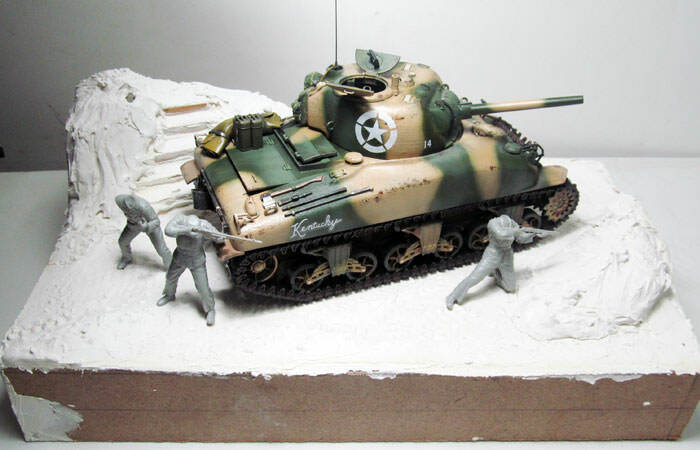 I am trying to get my build for Crusader to Gazala done then I will be starting on Tamiyas M4A3E8. Thanks Guy. 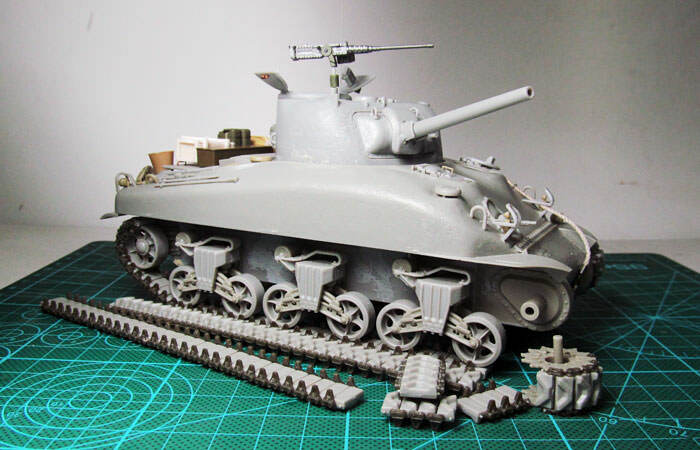 That kit is super easy to put together, you would think it is made by Tamiya. I used very little putty on it, in fact I only used it to fix my own error! I can't wait to see how you build yours! 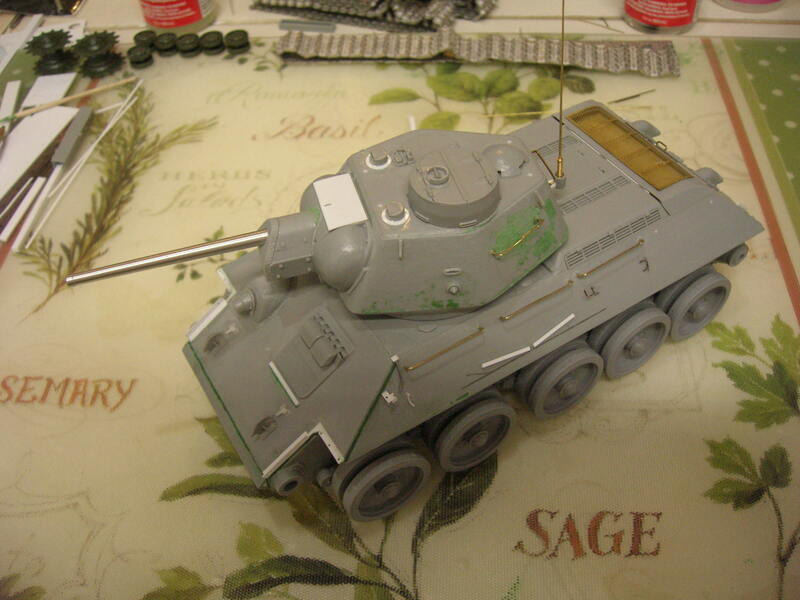 Thanks Matt, I keep flashing back to the old Tamiya Ausf. D but the detail on this is so much better. Sheesh, so much to catch up in such a short time!!! 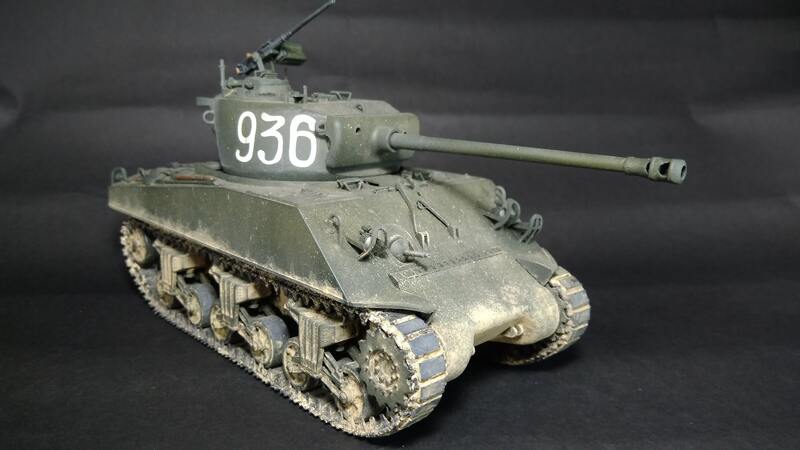 Mr K. That Sherman looks great. Like the layout of the dio you are planning too. Nigel. Your Shermie looks great too. I know what you mean, the .50 is such a chunk of iron it does take up attention and being dark like the tank doesn't help. Maybe a subtly lighter colour for the barrel and a black pin wash in the perforated jacket and under protrusions as a form of shadow might break it up a bit. I am not a fan of modulation as such, but on the fifty I usually make the feed cover a tad lighter than the body too - being on top and catching more light so to speak. Coming along nicely Randall. I Hope the fuel can holders work out for you. William, old school it may be, but it works. Nice to see the old Italeri kit getting taken out for a spin by you guys. Shawn, yours sure looks a treat. A real green machine. I notice in the super sized images that your red colour in the tail lights has run on the bottom rim on the right. Hope I didn't offend you guys by mentioning the stuff above. Meant as positive feedback and discussion purposes only. Those tail lights were used on everything from Jeeps to tanks. They were a standardized fitting. The red oval is a tail light, when in a rear area. Thanks for pointing that out! 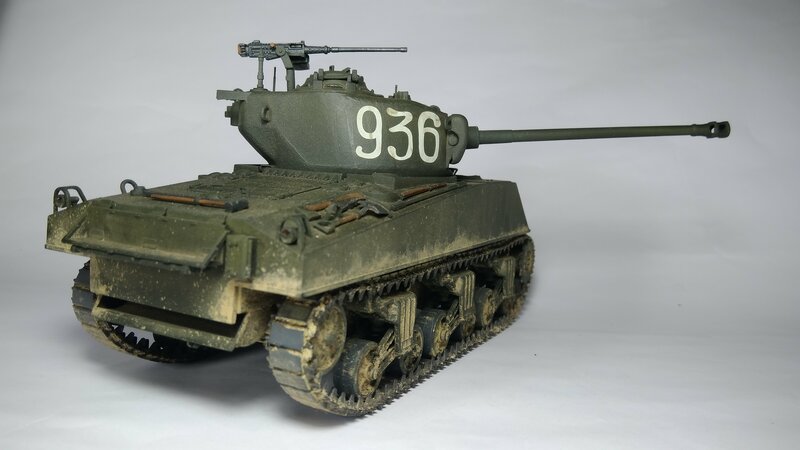 I don't often model US/Commonwealth AFV's so that was very useful for my future Sherman builds. Looks great! I really like how you got your tracks looking. My only critique is you should remove the 50 caliber mount on the turret. 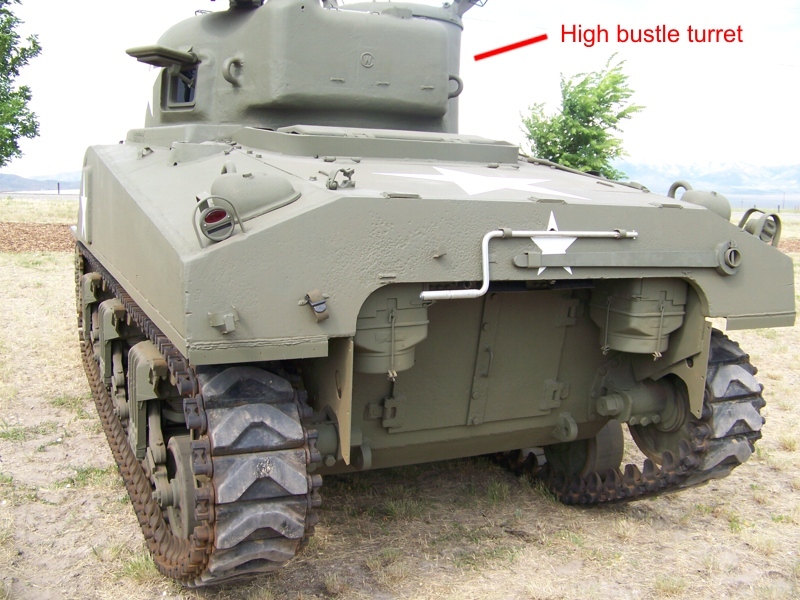 The image I found of the tank did not show the mounting. Thanks for the feedback. 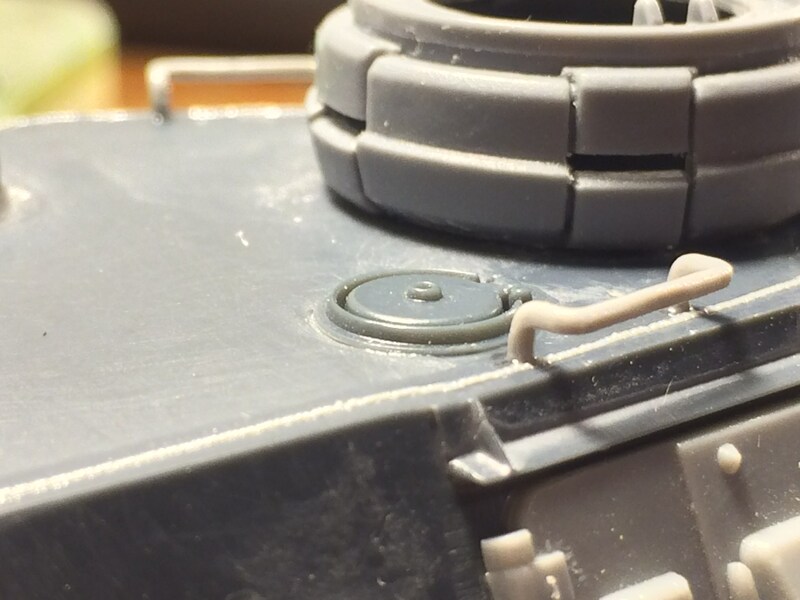 You are correct, and I also used the wrong drive sprocket and couldn't replicate the bracket on the front glacis. There are a few other details I missed but its close enough for me. 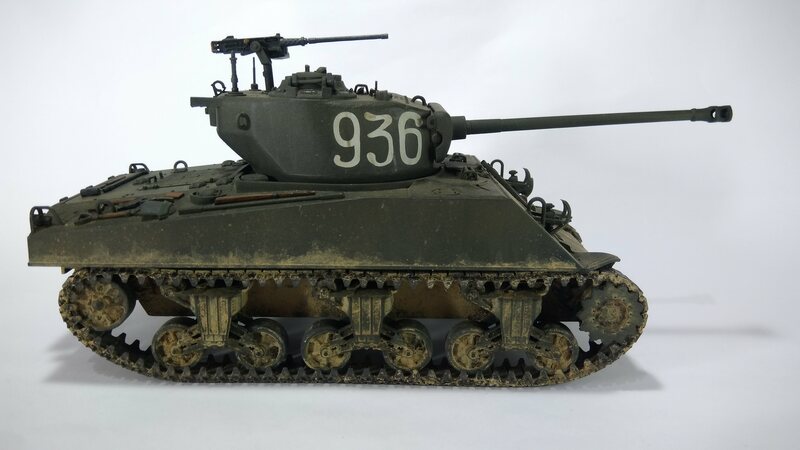 This was the first Sherman I've built and I learned a few lessons that I've applied to my two ongoing M4A2 builds. Good thing I wasn't drinking when I read that! Years ago I was looking for tail lights at a military vehicle show. One guy had a set for 20 dollars labeled tail lights, another had the exact same set for 50, labeled for Jeeps. I heard a guy tell a friend to go for the "Jeep" lights before someone else got there! I got the 20 dollar set, and still have them on my Jeep. I once went with my mother so she could buy dad a present. He had picked up a second hand pool table but needed some decent cues. Never the less, Dad loved the cue and the story, and although the table is long gone, he still has the cue. 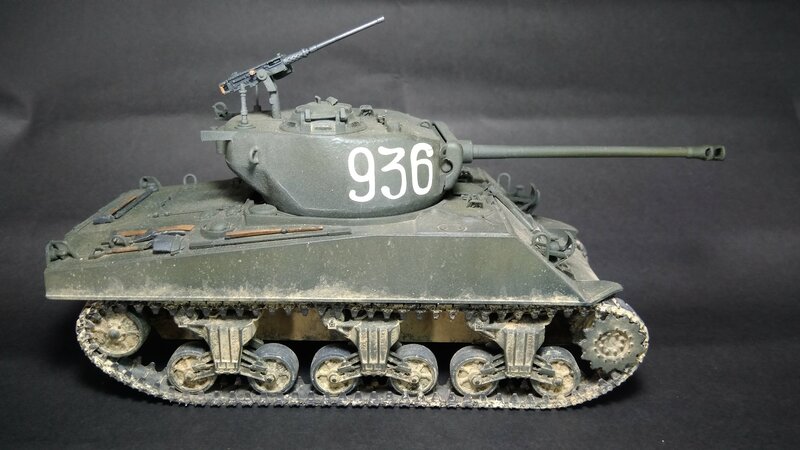 Shawn, your Sherman looks good. I agree, nice job with the tracks.